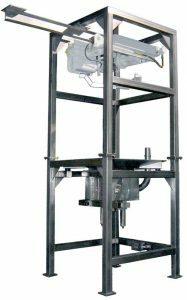 At IEDCO we have developed a wide range of custom designs to provide reliable flow and to connect the outlet spout of the bulk bag to the system in a contained manner. Our bulk bag unloaders are designed to fit our client’s specific requirements, and we have built systems to handle all types and sizes of bulk bags. Construction Materials Ranging from Mild Steel to 316 Stainless Steel.